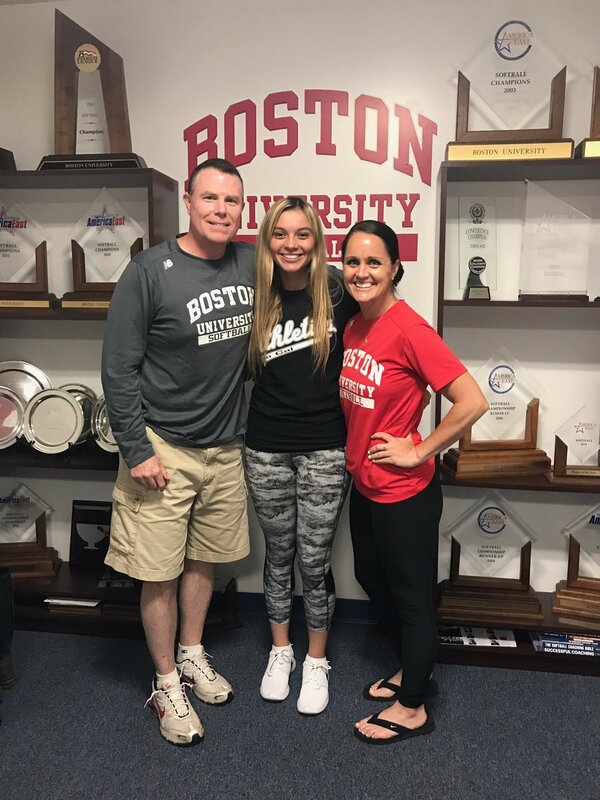 St. Lucy’s sophomore softball Audrey Sellers has committed to Boston University, announcing it on her Twitter account Thursday. Sellers, a catcher, was a key performer for a Regents squad that made it to the CIF Southern Section Division 2 semifinals before falling to Camarillo 1-0. She hit .416 with 36 runs scored, 32 RBI, 10 doubles, a triple and nine home runs. She also boasted an on-base percentage of 48- with a slugging percentage of .853. Most notable was her showing against Baseline League foe Chino Hills in which she had three home runs, eight RBI and walked twice. She was a first-team All-Baseline League selection. This entry was posted in Audrey Sellers, St. Lucy's softball by Michelle Gardner. Bookmark the permalink.